I was flown down to Orlando, worked with some of the top staff, and met producer Alan Landsburg. When he talked, people listened. The man knew documentaries. They were in his blood. On Monday, the 18th of August, I was saddened to learn that Landsburg died on Thursday, August 14, 2014, in Beverly Hills, California. The genius of documentary-style television production was 81 years old. 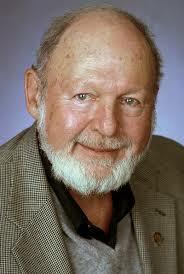 Alan William Landsburg was born on May 10, 1933, in White Plains, New York. During the 1950s, he worked until his discharge from the Armed Services in 1956 as a writer, director and producer of special events for the American Forces Network in Europe. Following his discharge, he became one of the youngest radio directors in the country when he joined the NBC affiliate in New York at age 21. In 1961, he moved to Los Angeles to join Wolper Productions, the company behind Biography. Landsburg wrote, produced and directed several episodes of the 1960s documentary series Biography, hosted by Mike Wallace, as well as National Geographic specials and The Undersea World of Jacques Cousteau adventure series. 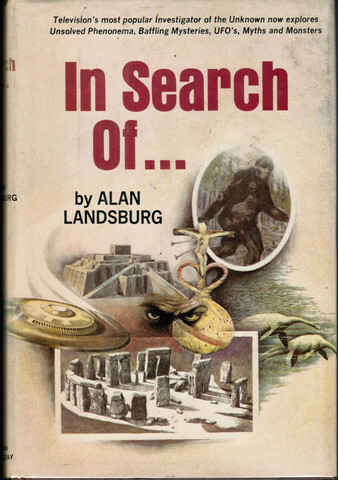 Landsburg, of course, will always be best known for his original series on the unexplained, In Search Of…, that was broadcast from 1977 to 1982 (hosted by Leonard Nimoy), and then briefly again in 2002 (hosted by Mitch Pileggi). In Search Of... was created after the success of three one-hour TV documentaries produced by creator Alan Landsburg: In Search of Ancient Astronauts in 1973 (based on the book Chariots of the Gods? by Erich von Däniken), In Search of Ancient Mysteries and The Outer Space Connection, both in 1975 (later adapted into popular paperbacks written by Landsburg). All three featured narration by Rod Serling, who was the initial choice to host the spin-off show, but he died in 1975. After Serling’s death, Leonard Nimoy was selected to be the host. 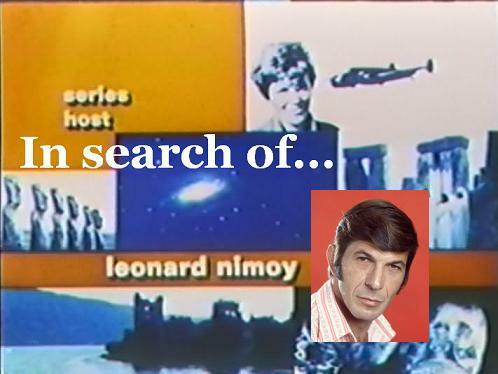 The show also spawned at least six spin-off books, all written by Landsburg with forewords by Nimoy: In Search of Lost Civilizations, In Search of Extraterrestrials, In Search of Magic and Witchcraft, In Search of Strange Phenomena, In Search of Missing Persons, and In Search of Myths and Monsters, with an additional book that collected the best segments from these existing volumes. #149 “Bigfoot” November 1, 2002. In 1978, Landsburg produced a Bigfoot documentary using portions of two In Search of... episodes (“The Monster Hunters” and “The Abominable Snowman”) called Manbeast! 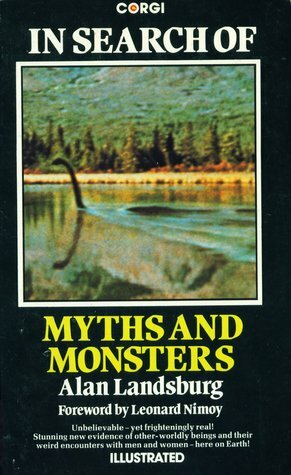 Myth or Monster, based on his book In Search of Myths and Monsters. Though Nimoy had written the foreword to Landsburg’s book, he did not narrate this documentary. Landsburg also was behind the successful 1980-1984 series, ABC’s That’s Incredible (hosted by John Davidson, Cathy Lee Crosby and Fran Tarkenton). 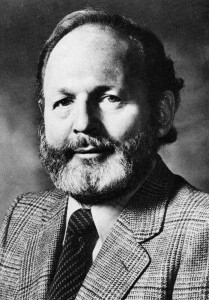 During Landsburg’s four decades career, he produced over 50 programs. He was founder in 1985 and CEO of the Landsburg Company and was involved in producing over 50 movies of the week. He had over 2000 hours of television production experience. He is survived by his second wife, Sally, and his children, Valerie, Shana, and Michael. His legacy lives on in the reality programming you view on your television set every night. His series, I consider, to have been a higher quality than most you will observe nowadays. The best Fortean show ever on television. Such an incredible mix of professionalism and wonder with drama and tension. I sometimes wonder whether absent Nimoy’s voice would it have been successful. Sparked an interest in the unknown that still burns. Godspeed, Alan.